Between exciting projects like Skyline Tower and the forthcoming Amazon headquarters, Long Island City real estate has been making a lot of headlines recently. And no one knows that market, or the area, quite like Modern Spaces. The boutique agency was started by Eric Benaim and Ted Kokkoris in 2008 as a small office on Vernon Boulevard in LIC. 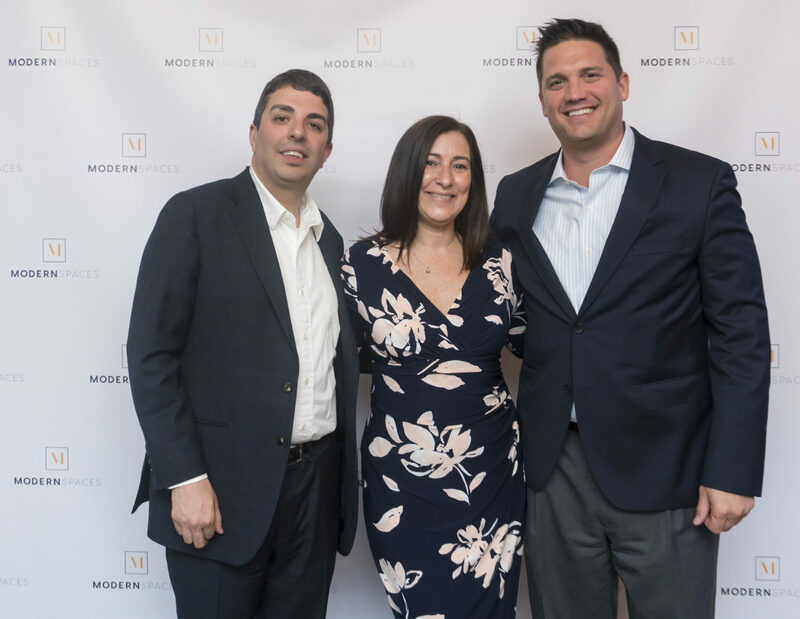 Over the last 10 years the team has grown to include more than 100 agents all with firsthand knowledge of the Long Island City, Astoria, and other neighboring NYC markets. More important, the firm never lost the intimate atmosphere that Benaim and Kokkoris cultivated from the beginning. The result is a close-knit team of agents who work closely with clients and one another to communicate quickly and effectively, taking advantage of their pool of knowledge and modern technology to provide apartment hunters with the best experience and results. We sat down with Lisa Ingardia, the Managing Director of People & Culture for Modern Spaces, to get a sense of what it’s like to work for the agency and how the firm’s unique approach to running their business ends up benefiting clients. Ingardia calls herself “the caretaker of the office,” a role that includes everything from “assisting agents with on-boarding, providing a smooth process when they start, as well as making sure they have all the tools they need to do deals successfully,” said Ingardia. A veteran of the real estate industry, Ingardia brings a Zen-like presence to the office, functioning as the calm center for what can be a hectic industry. But most important is that the agents work together seamlessly. To this end, Modern Spaces treats its team members like family. “We are small, cozy, and we know everyone’s names,” says Ingardia. One of the ways in which she creates this familial environment is by bringing the team together for service projects in the neighborhood, like hiring a Santa Claus for local children during Christmas and donating toys to The Floating Hospital. These projects help create an atmosphere in which agents enjoy working with one another — something that is, no doubt, sensed by clients of Modern Spaces. So, if you’re in the market for an LIC luxury apartment or a condo in Astoria, visit the Modern Spaces contact page to get in touch with an agent. Soon, you will be enjoying an unparalleled level of service from the boutique agency.